Videogame BANG! 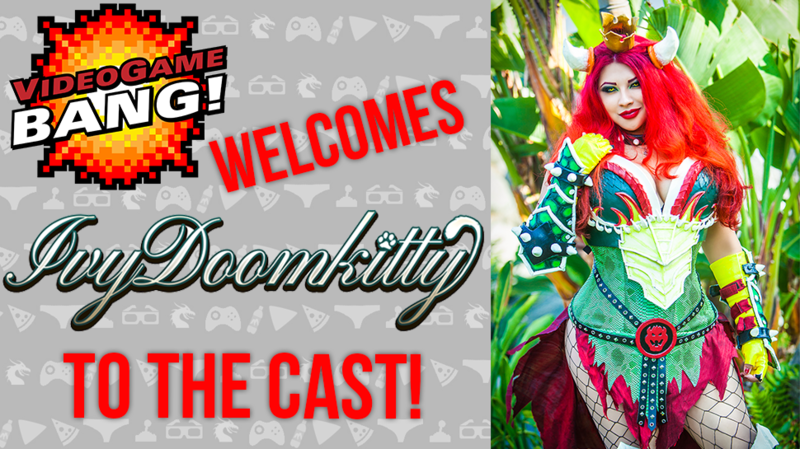 Welcomes Ivy Doomkitty to the Cast! The Videogame BANG! podcast is excited to announce the newest addition to their full time cast: international cosplayer Ivy Doomkitty. Ivy is an Internationally recognized Cosplayer, Artist, Gamer, and Published Model, based in Los Angeles. Ivy has been an avid fan of comics and gaming since childhood, and has been attending conventions for over 11 years. In the last 4 years, Ivy has delved into the world of cosplay, fascinated with the creativity of it as well as being able to show her love of her favorite characters through this medium. Since then, she has quickly risen to become one of the most sought after cosplayers for conventions throughout the world. Ivy was also featured as a GUEST JUDGE on several episodes of the Syfy Original Series, “Heroes of Cosplay”, and was the cover model for “Cosplay Culture” magazine. Ivy has been a friend of the show for a while and has been a featured guest multiple times. The whole VGB crew is thrilled to have her as a permanent member of the cast. You can find her in past episodes here. For a full cosplay and model gallery, as well as a list of her upcoming events, visit her website at ivydoomkitty.com.